A portrait of Frank and Xavia Hightower Howard. 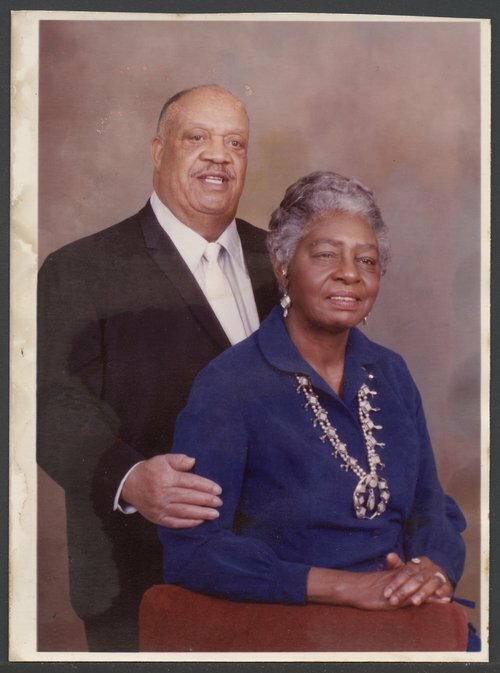 They were married in 1942 and lived in Wichita, Kansas. Her mother Victoria Murdoch-Hightower owned and operated Citizens Funeral Home. After her mother's death in 1942, Xavia became the proprietor. She was the first female African-American licensed funeral director and embalmer in Kansas. Xavia was active in the community serving on many committees and boards. She retired from the funeral business in 1998.